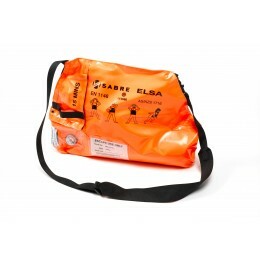 Renowned as the world's leading Constant flow escape set, the ELSA (Emergency Life Support Apparatus) is designed for rapid escape from hazardous industrial and marine environments. Consists of an automatic valve that is activated upon opening the bag. The hood provides optimal vision and can be worn over spectacles and long hair. This Hi-Viz unit is supplied with a 10 minute Cylinder.